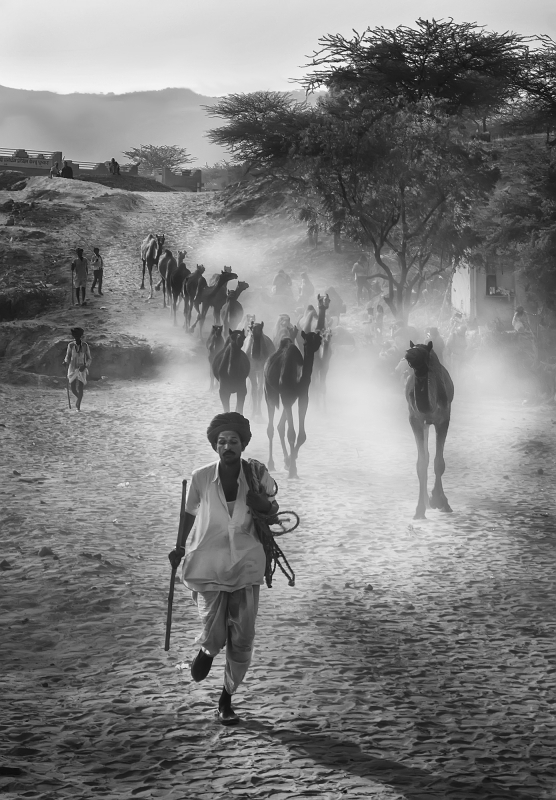 Traders runs with his camels in the early morning at the camel fair grounds in Pushkar . Thousands of livestock traders from the region come to the traditional camel fair where livestock, mainly camels, are traded. This annual five-day camel and livestock fair is one of the world's largest camel fairs. when people from all over Rajasthan converge at Pushkar with their cattle stock. Pushkar Fair is regarded as one of the largest camel festivals in the world.